The crisp geometric styling of this stylish TV console creates an open, airy feel in your living space. Free of drawers, doors and knobs, this simple piece holds all of your electronics and media in five open compartments. A deep cappuccino finish completes the look. The top panel of this console accommodates a TV set up to 46 inches in diameter. 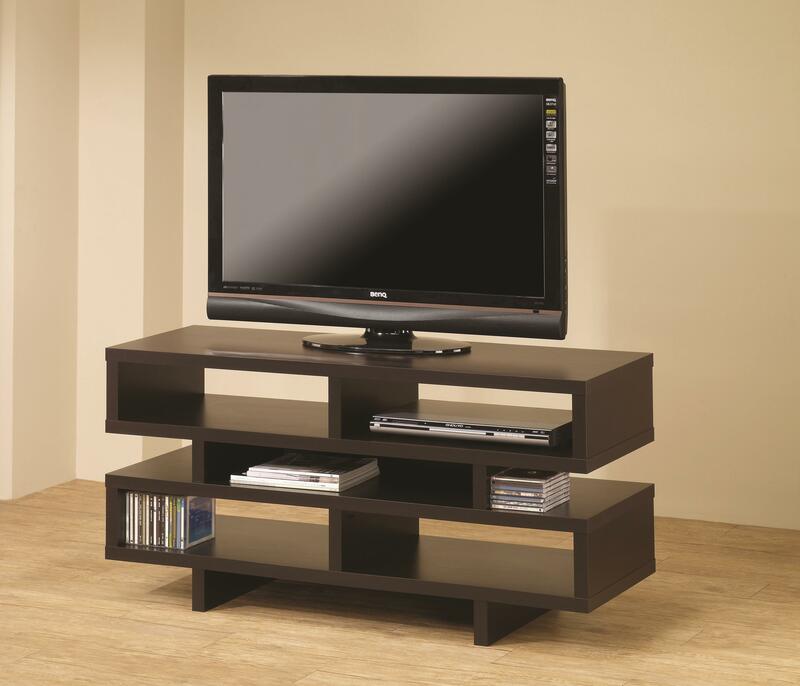 The TV Stands Contemporary TV Console with Open Storage & Cappuccino Finish by Coaster from Nashco Furniture - Nashville. We proudly serve the Nashville, Franklin, Brentwood, Clarksville, Green Hills, Davidson County, Williamson County, Tennessee area. Product availability may vary. Contact us for the most current availability on this product.